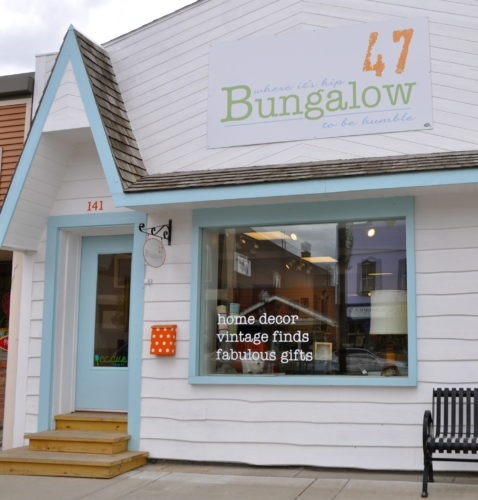 Studio 47 is located directly behind Bungalow 47. 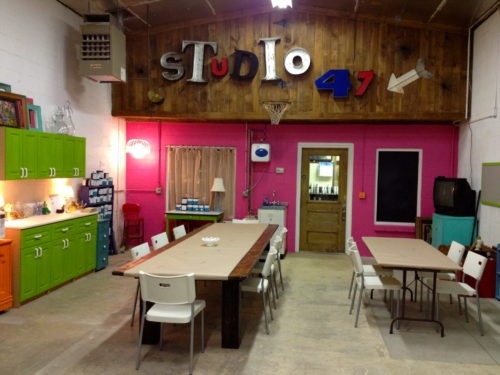 Monthly workshops are held here. 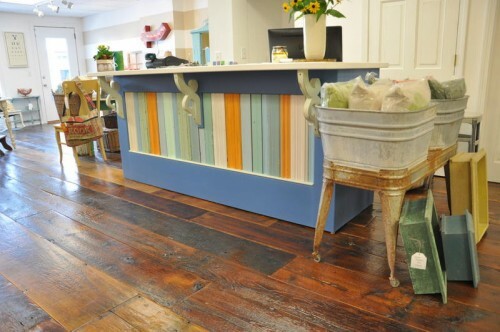 The custom counter was built from salvage trim pieces. 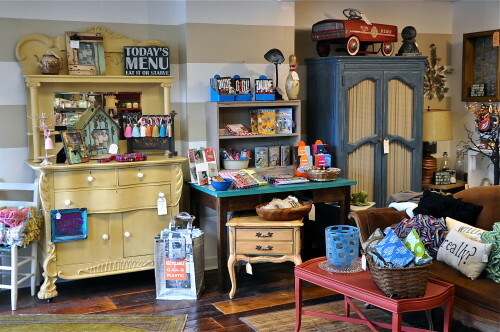 We also installed our reclaimed, barn-wood floor.